Experience the love of our 100% natural mineral foundation every day and give your sensitive skin a soft, flawless and even look. 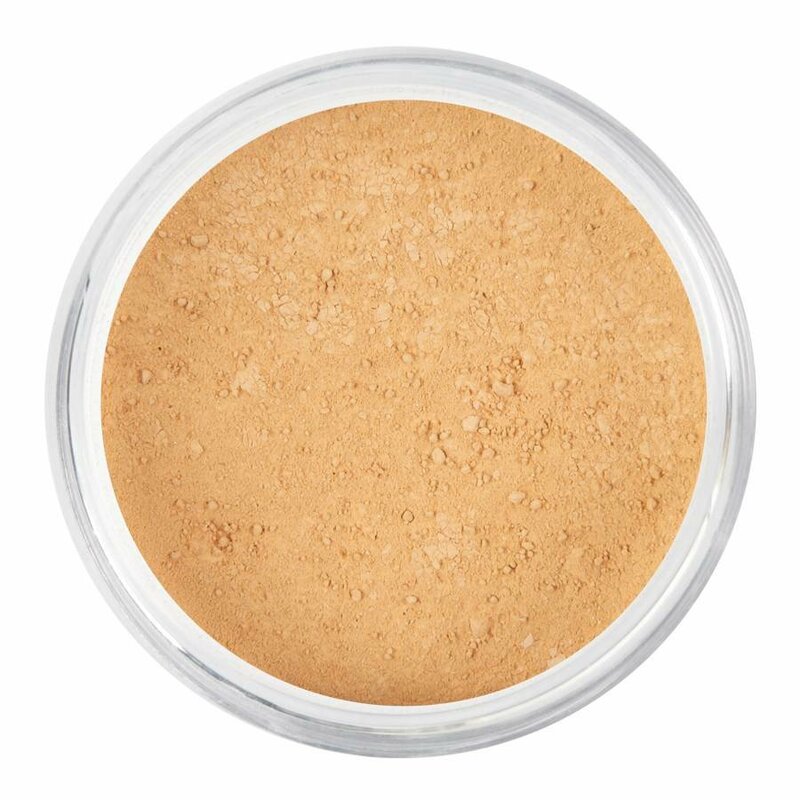 This colour of foundation will suit you very well if you have medium tinted skin with a pinkish undertone. The Saddle foundation will camouflage your imperfections in a natural way. The power of mineral makeup is that it blends together with the natural oils in your skin. As a result, the foundation provides a natural, even coverage, is easy to apply and does not stain your clothes. 1-on-1 colour advice from a top makeup artist? One of my top makeup artists is ready to advise you on the best colour of foundation for you. WhatsApp your question to 06 15 15 49 91, use the convenient chat feature on the website, or order the trial kit for medium tinted skin. Apply a thin layer of foundation for light coverage and several layers for an opaque look. Our foundation can't do without our Kabuki foundation brush. This brush is so soft and gentle that its touch feels like your cheeks are being carefully caressed. Doesn't that sound like a lovely way of applying your makeup?